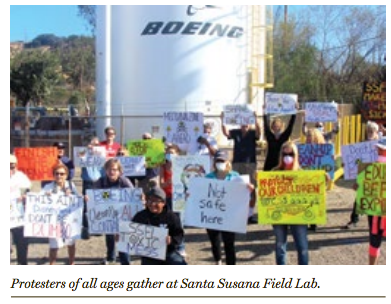 The battle to ensure a full cleanup of the Santa Susana Field Lab increased in intensity in 2016 and 2017. The state and federal agencies that had promised cleanup took ever more troubling steps to break their commitments. The cleanup agreements signed in 2010 promised completion by 2017; the agencies have dragged their feet so much that cleanup, if it ever occurs, won’t even begin by then. 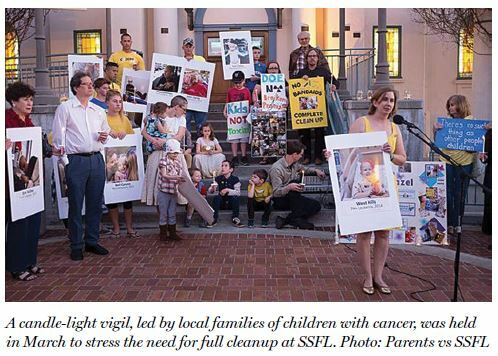 We keep fighting; concerned elected officials keep pushing; and the media keeps probing. All five parts of this ground-breaking investigative series can be watched by clicking here. In 2015, The investigative team from NBC4 Los Angeles, led by producers Joel Grover and Matthew Glasser, ran a series of hard-hitting pieces about the Santa Susana Field Laboratory. Over a year of intensive research, including interviews with CBG’s Dan Hirsch, exposed new revelations: During the partial meltdown in 1959, radiation levels in the reactor building were so high that worker radiation badges were confiscated and huge loading doors were opened to vent the radioactivity right out into the environment.